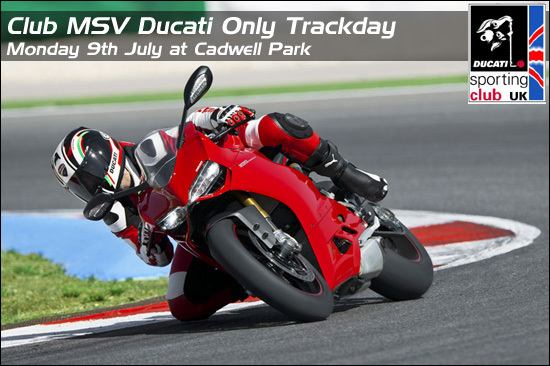 Monday 9th July at Cadwell Park for all Ducati owners. and the price is £109 per rider for Ducati Sporting Club members. ONLY be available over the phone to DSC members quoting this code! Note: this is a duplicate thread in the Trackdays section. Please go to the main thread in the DSC Events section for upto date info!